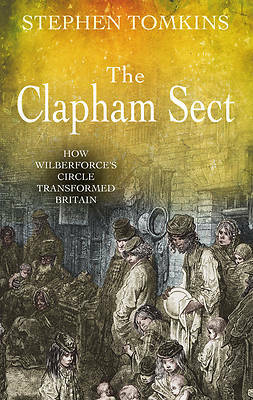 The Clapham Sect was a group of evangelical Christians, prominent in England from about 1790 to 1830, who campaigned for the abolition of slavery and promoted missionary work at home and abroad. The group centred on the church of John Venn, rector of Clapham in south London. Its members included William Wilberforce, Henry Thornton, James Stephen, Zachary Macaulay and others. Stephen Tomkins tells the fascinating story of the group as one of a web of family relations - father and son, aunt and nephew, husband and wife, daughter and father, cousins, etc. Within the story of the people are the stories of their famous campaigns against the slave trade, then slavery, the Sierra Leone colony, Indian mission, home mission, charity and politics. The book ends by assessing the long term influence of the Clapham Sect on Victorian Britain and the Empire.